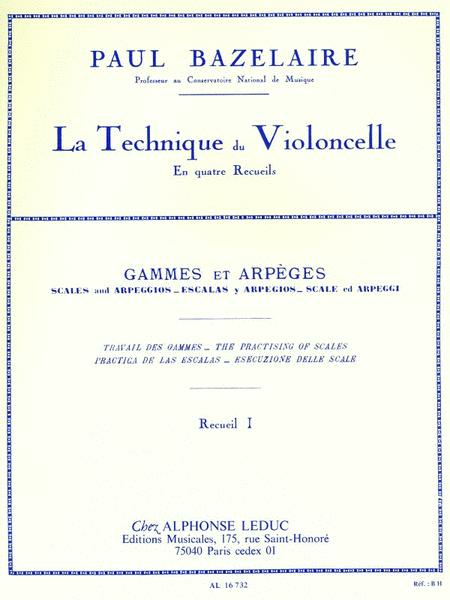 The first volume of a method in 4 books, Cello Method – Scales and Arpeggios, Volume 1 was composed by Paul Bazelaire (1886-1958) based on scales and arpeggio studies. 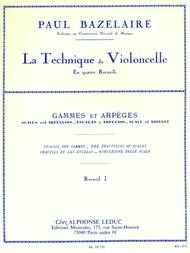 This set of works covers all the scales and can therefore be used to introduce beginners to scales and arpeggios or by advanced cello players to master the perfect technique on this particular subject. This book of 47 pages is definitely a must-have for developing the basics, and is followed by volumes of daily exercises and twelve studies of velocity. Paul Bazelaire was a French cellist and composer who won many literature and poetry prizes.